Fall was a time for a warm spinach salad. Now that the weather is improving a bit, I got a hankering* for a cool version of that salad. This has the same bacon balsamic dressing and red onions, but the rest goes a different direction. * I believe that’s the first time I’ve ever used the word “hankering“. 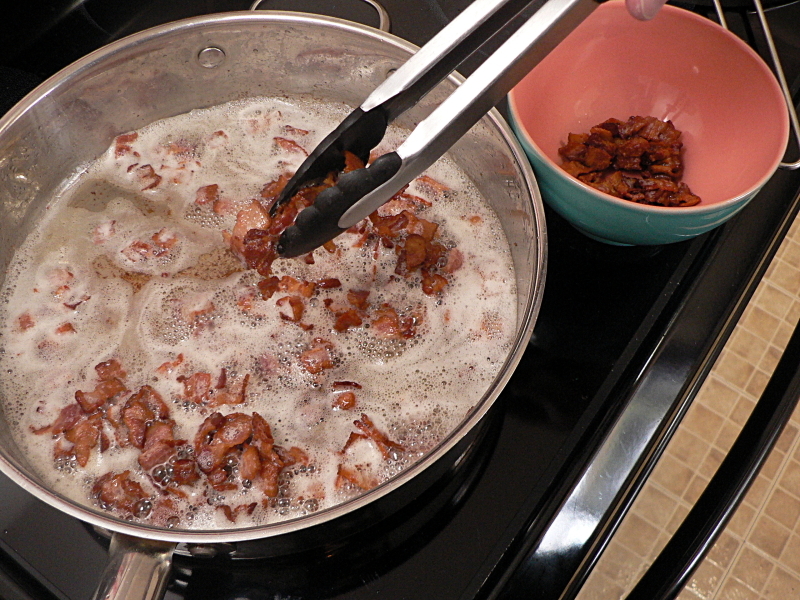 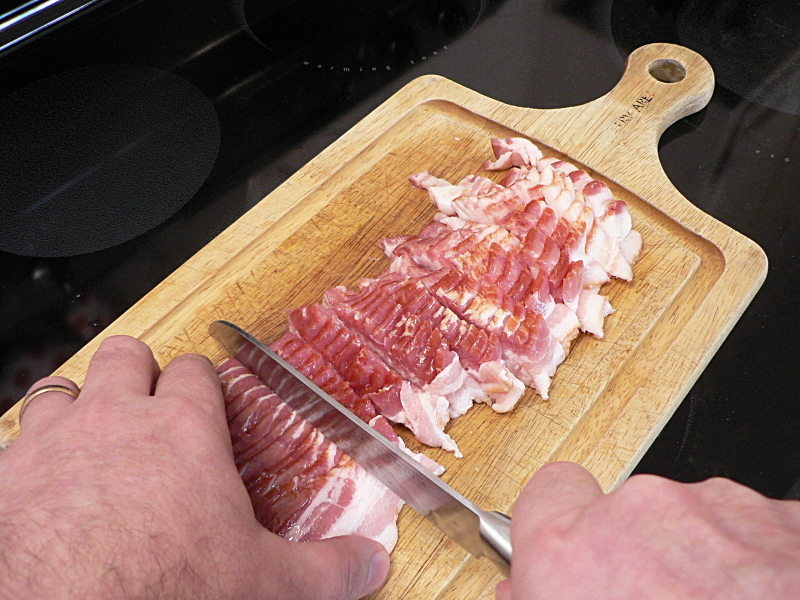 Chop the bacon into half-inch pieces and place in a pan over medium heat. 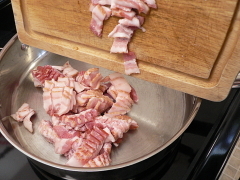 Every now and then give the bacon a stir to make sure it isn’t sticking, and give all the pieces some time on the bottom to brown up. 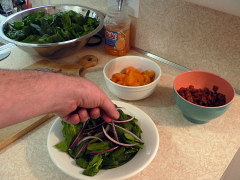 While the bacon is cooking, prep the spinach. 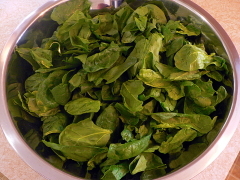 I avoid baby spinach, because it’s really not ripe yet. 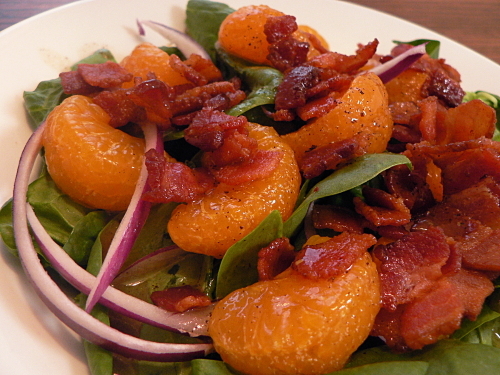 The leaves are less tender and less sweet. 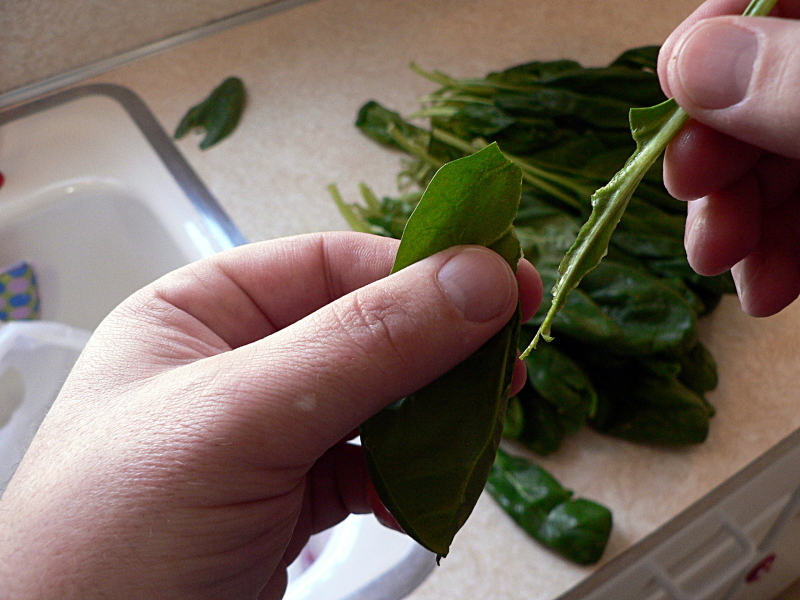 They’re easier to use, though, since the stems are softer. With mature spinach, you have to peel the stems. 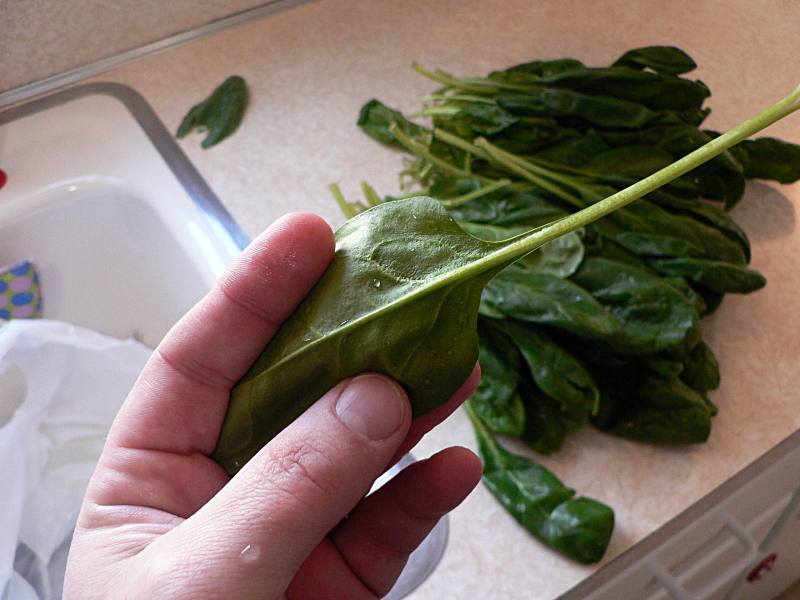 Fold the leaf in half away from the stem with one hand, and peel the stem off with the other hand. 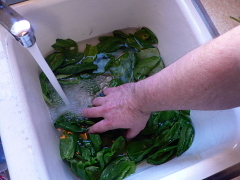 Unless you get hydroponic spinach — grown in water instead of soil — you’re going to have to rinse it. 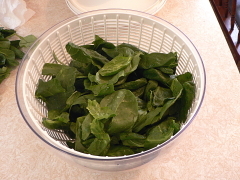 Use extremely cold water, and the spinach will actually get crisper while you rinse it. Just fill the sink and slosh the leaves around vigorously with your hands to get all the soil off. This next step requires me to admit once again that my wife bought something for the kitchen that I didn’t want to like, but I do. 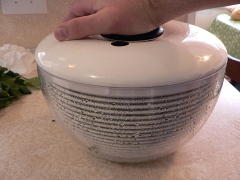 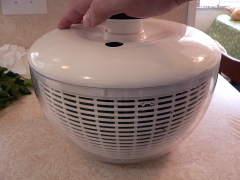 I thought salad spinners were an expensive toy that didn’t do anything I couldn’t do by hand. For salads I like long skinny wedges of onion better than rings. 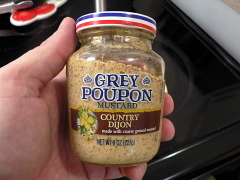 (I don’t know why. If you have an idea, tell me your theory down in the comments.) 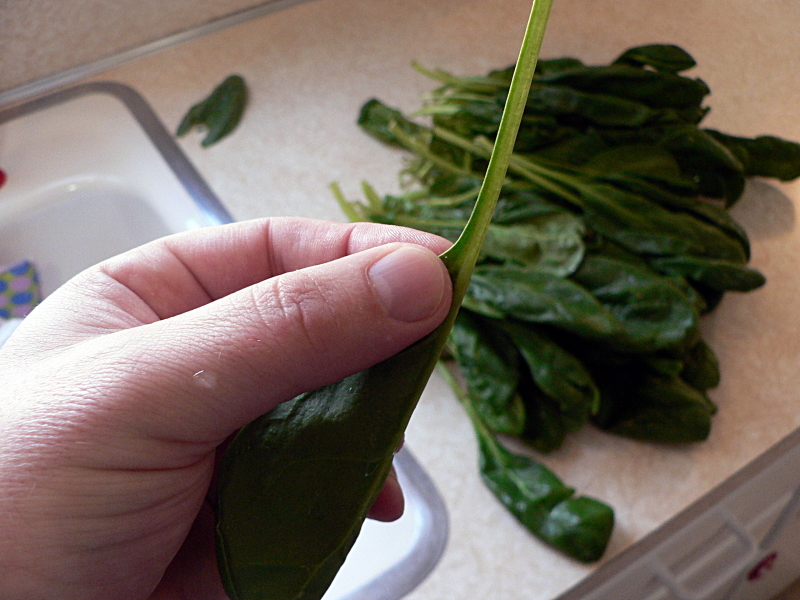 Cut the stem end off then split it in half. 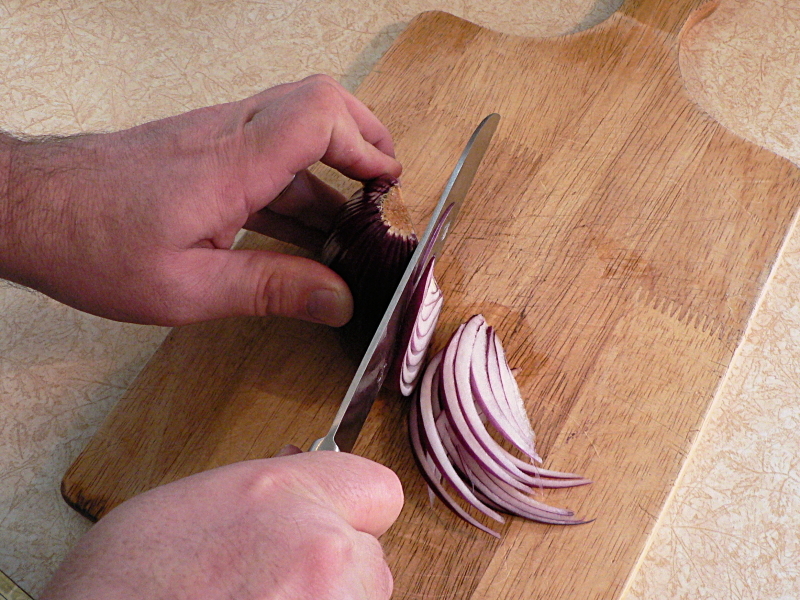 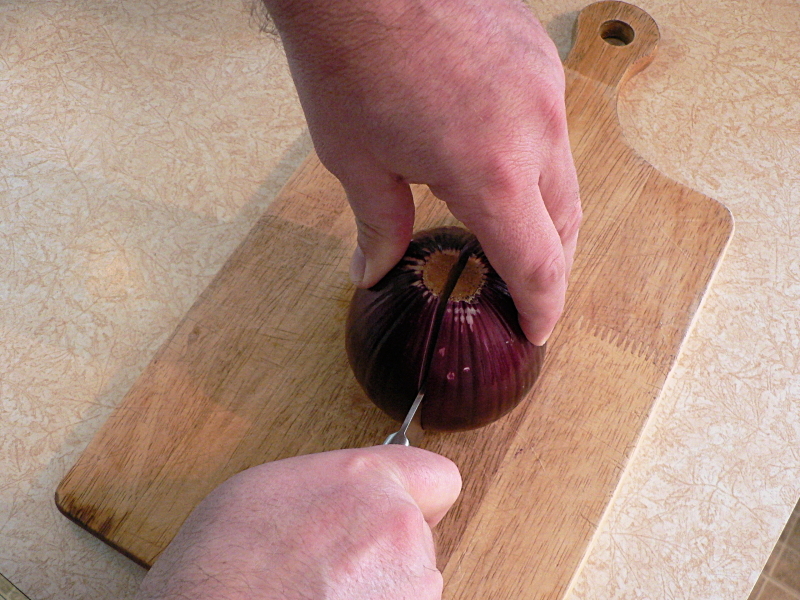 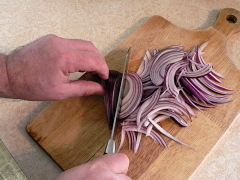 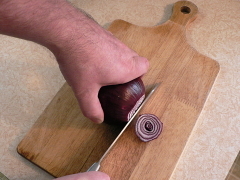 Standing the onion on the stem end, slice thin wedges off, starting at the ends and working toward the middle. 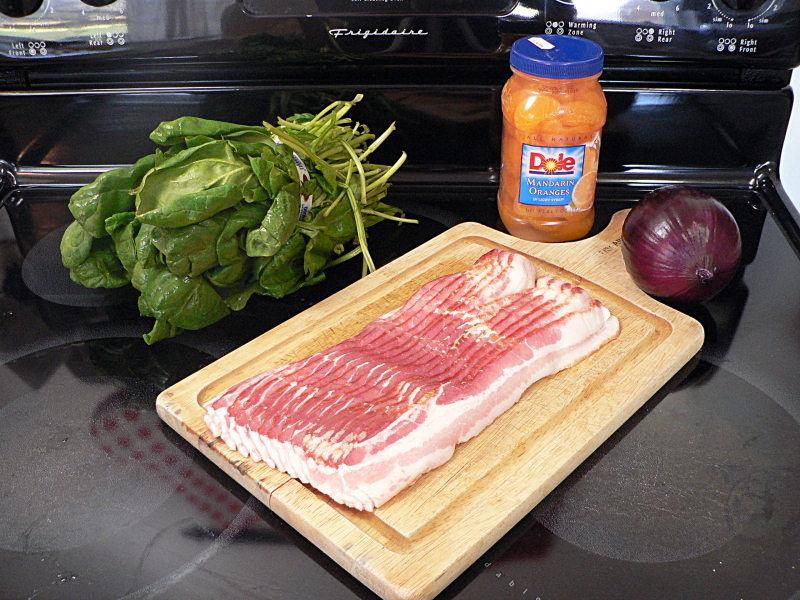 When you’re done prepping the spinach and onion, the bacon should be done. Scoop it out using tongs or a slotted spoon, making sure to leave most of the rendered fat in the pan. 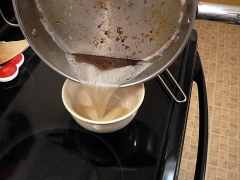 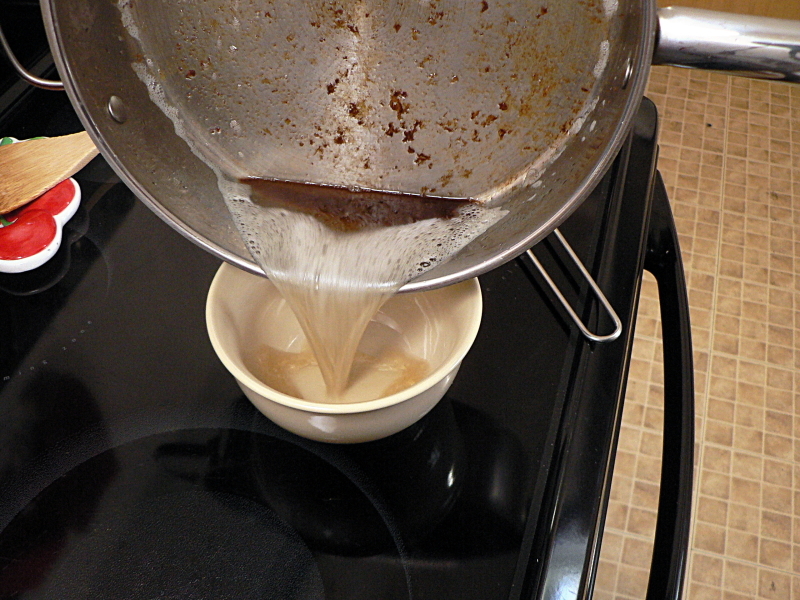 Pour the fat out into a bowl large enough to hold at least three times what you’ve got. 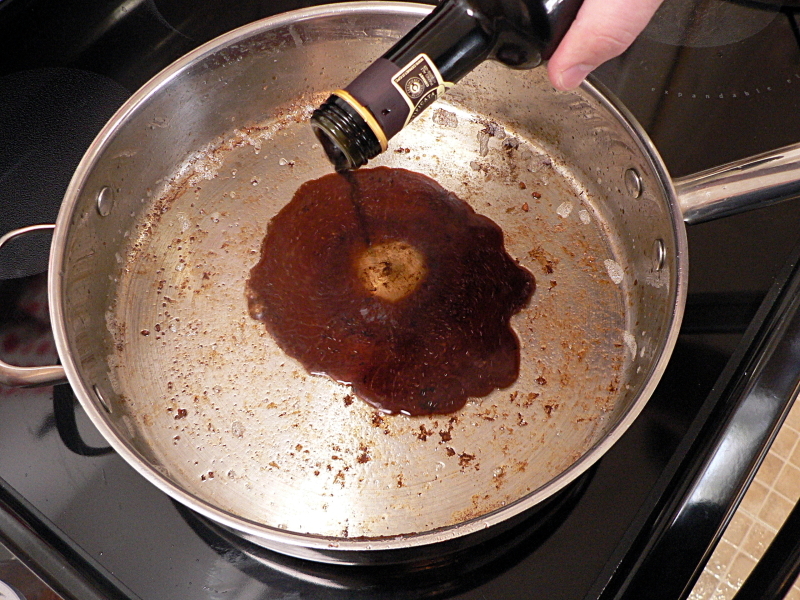 Deglaze the pan. 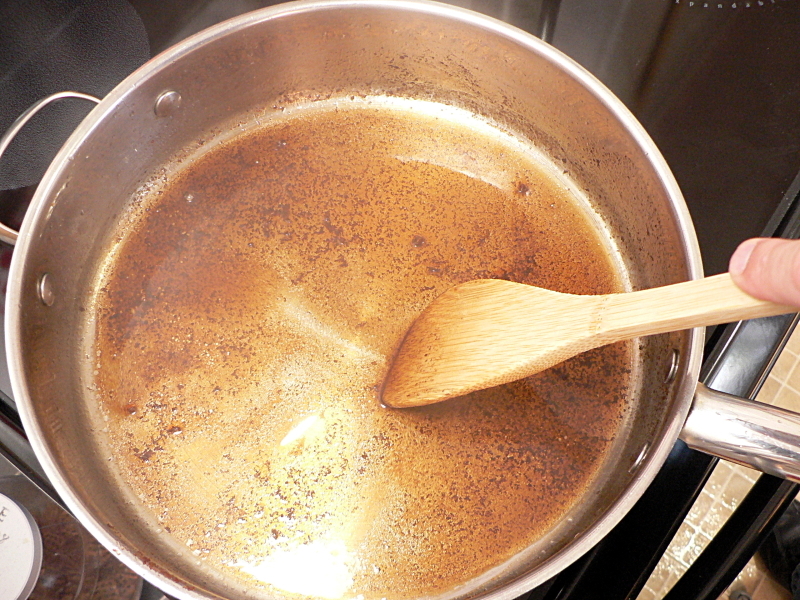 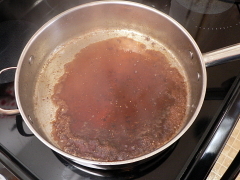 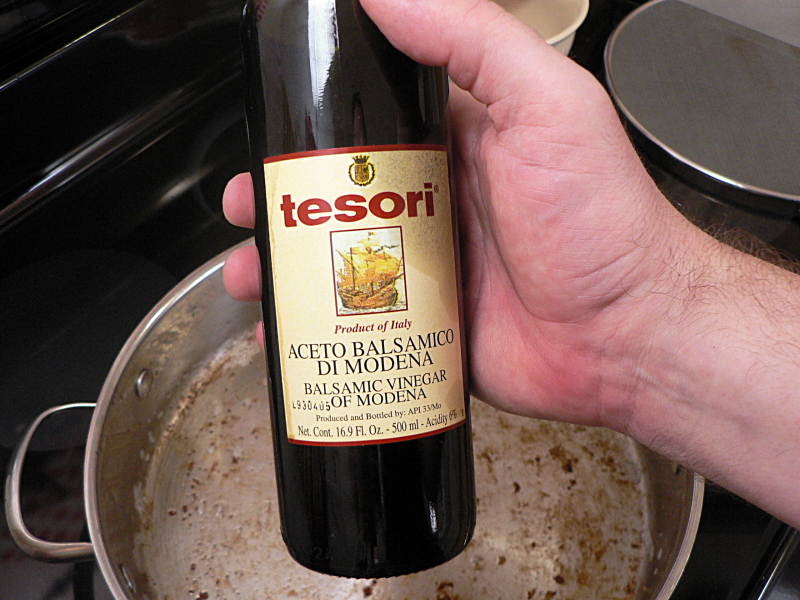 While it is still hot, add enough of the balsamic vinegar to coat the bottom. 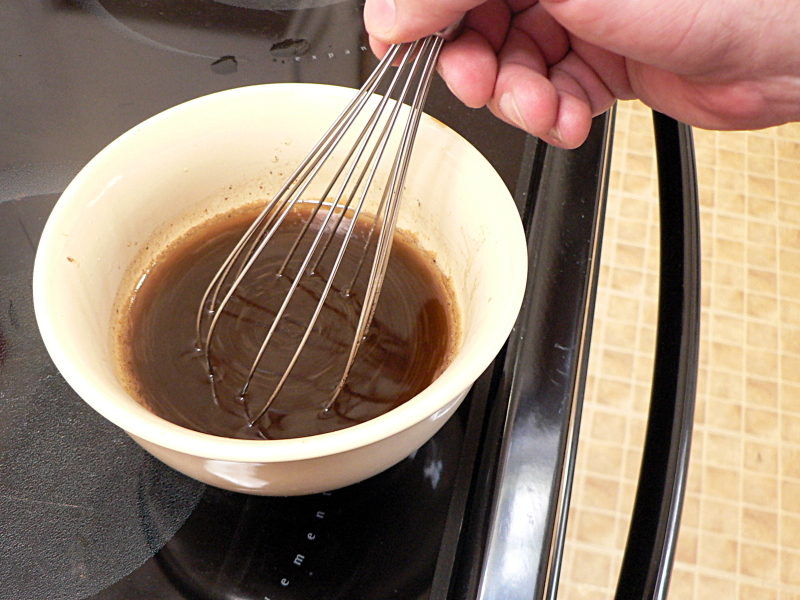 As the vinegar bubbles up, use a wooden spoon or a flat whisk to scrape all the brown bits up and stir them into the vinegar. 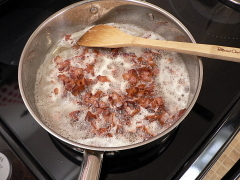 Whisk the vinegar together with the bacon fat. 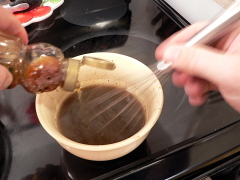 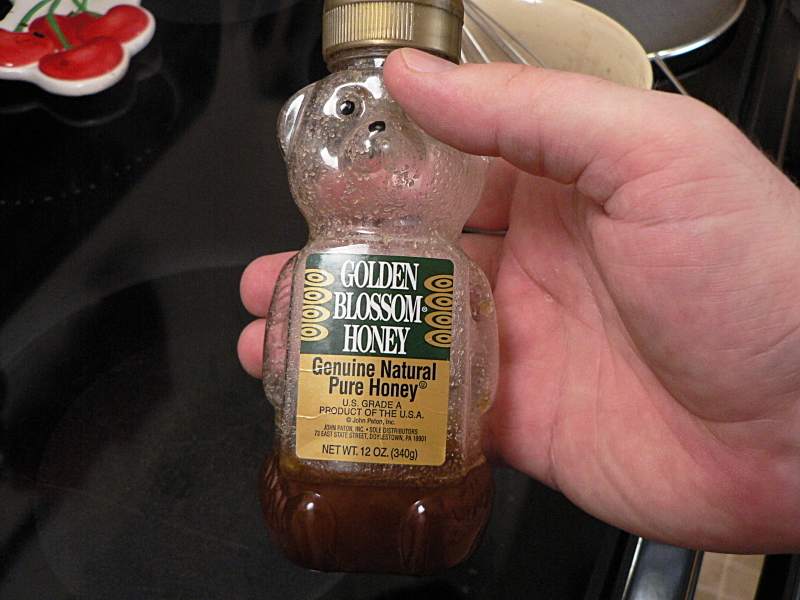 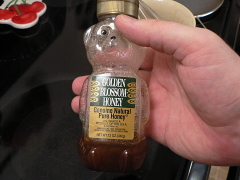 Add the honey and whisk together. 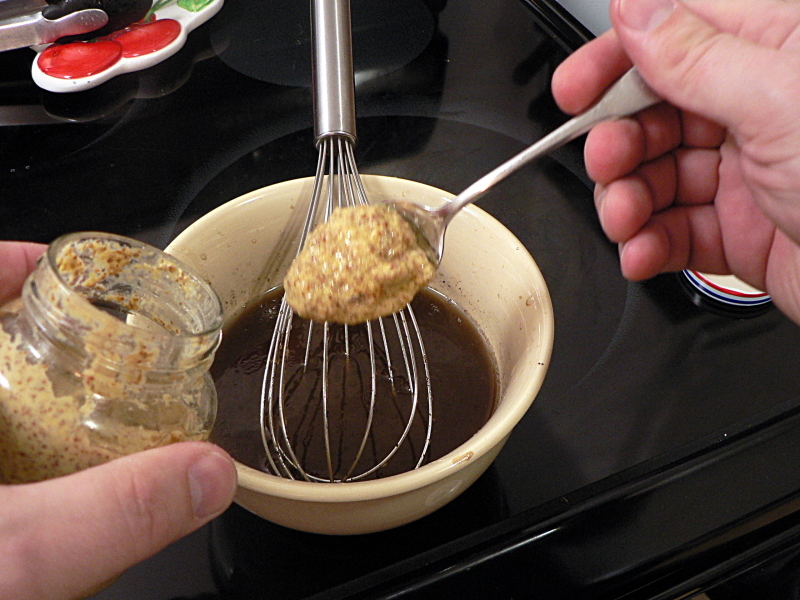 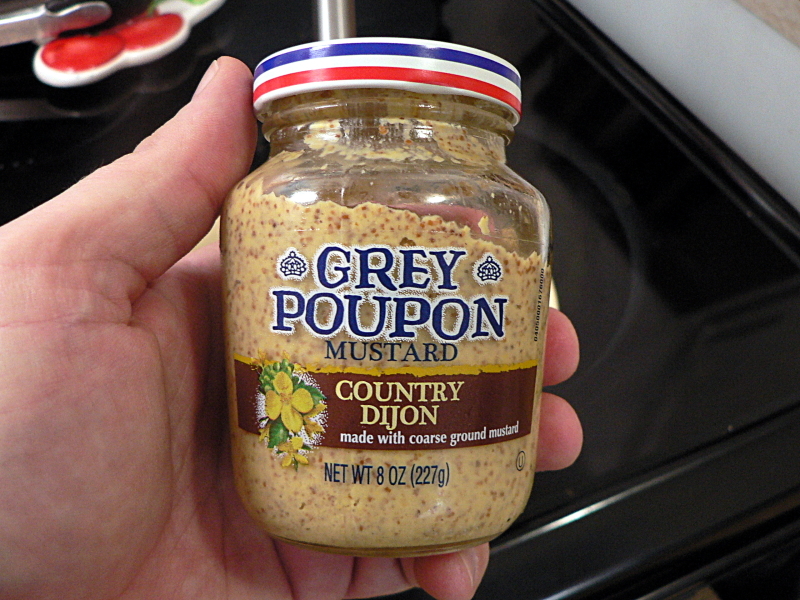 Finally whisk in the mustard. Clear a space where you can set all the ingredients out together. 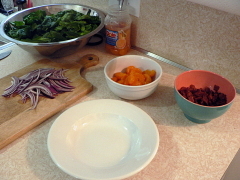 If you have as much counter space as I do, you know why “clear space” rates its own step. 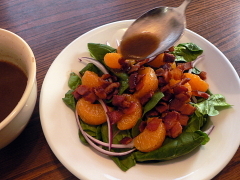 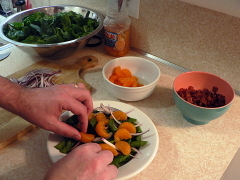 On top of a handful of spinach, add the onions and oranges (or strawberries) and bacon.